Thanks for visiting Maximize Your Influence…your source for the top persuasion, influence, and negotiation techniques that will help you maximize your success in life and in business! 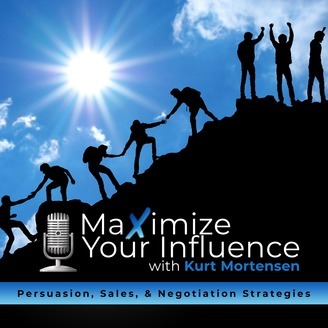 Our podcast combines years of persuasion research with current studies and events that will entertain you and supercharge your ability to influence others. In business and in life, your ability to persuade others can mean the difference between success and failure, or between mere success and spectacular success.. The worst time to learn a sales skill is when you need it. Persuasion and sales must be mastered before it is needed, or the opportunity is lost forever. In all the years that I have worked in persuasion, sales, influence, and leadership, I have never yet found a perfect persuader (especially me). I have met many very skilled persuaders, but none that have completely mastered all that they were capable of achieving. This is understandable. It's demanding enough just to keep up with the bills, maintain existing customers, lead the organization, prospect for new customers, outmaneuver the competition, and increase product knowledge. Faced with so many tasks, it's difficult to find the time to spend on developing yet another skill. Ironically, one area of sales that is easily overlooked is the very one that would make everything else fall into place. You've probably heard the old adage, "Dull knives work the hardest." Working hard is not the same as working smart. Are your knives sharp? Are you working smart? If you sharpened up in this one area, you'd likely be working more efficiently overall. Check yourself. Are you just going through the motions? Are you still using the same old tools over and over again without seeing the desired results? Or worse, are you making the same old mistakes over and over again? 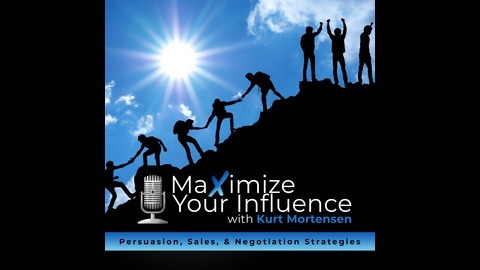 Are you making less than you could because of common "old-school" persuasion mistakes?